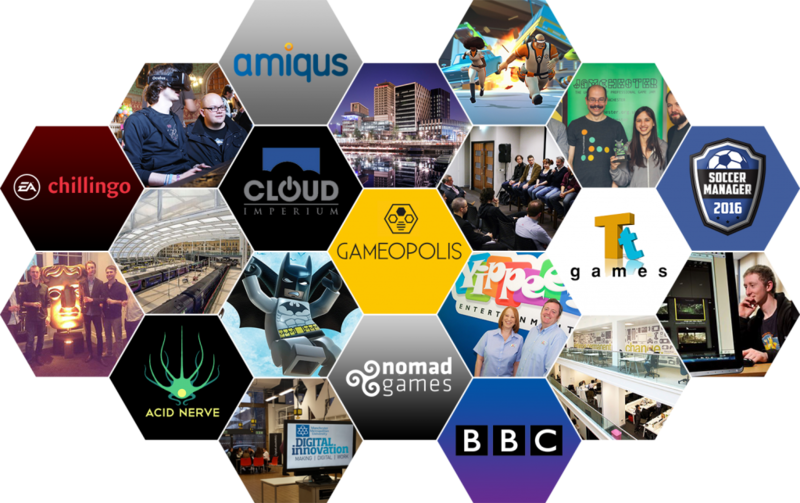 Gameopolis was founded in 2014 by the Greater Manchester video games development community to promote and link our local development scene. Our geographical area stretches from Macclesfield in the south to Blackpool in the north – the areas that identify with Manchester as the central point. 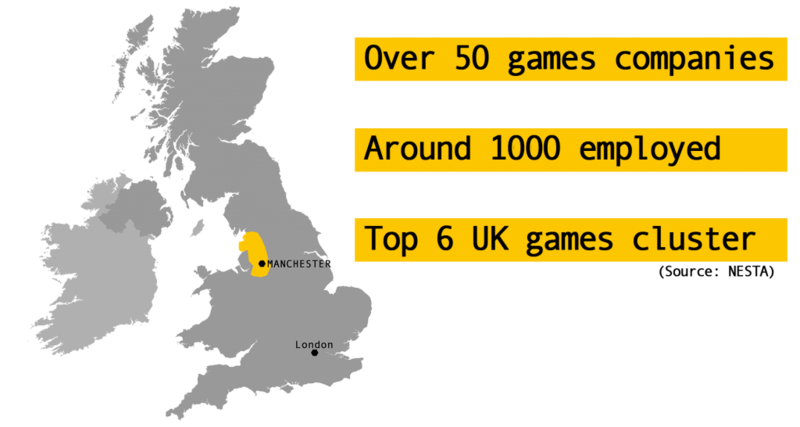 Manchester and the surrounding area has a rich history of video games creation from Ocean Software in the 1980’s to TT Games and much more today. We arrange bi-monthly Gameopolis events which regularly attract around 150 people. Keynote speakers have included Michael Pattison of Sony, Richard Badger of the BBC, and Matt Ward of UK Games Fund. 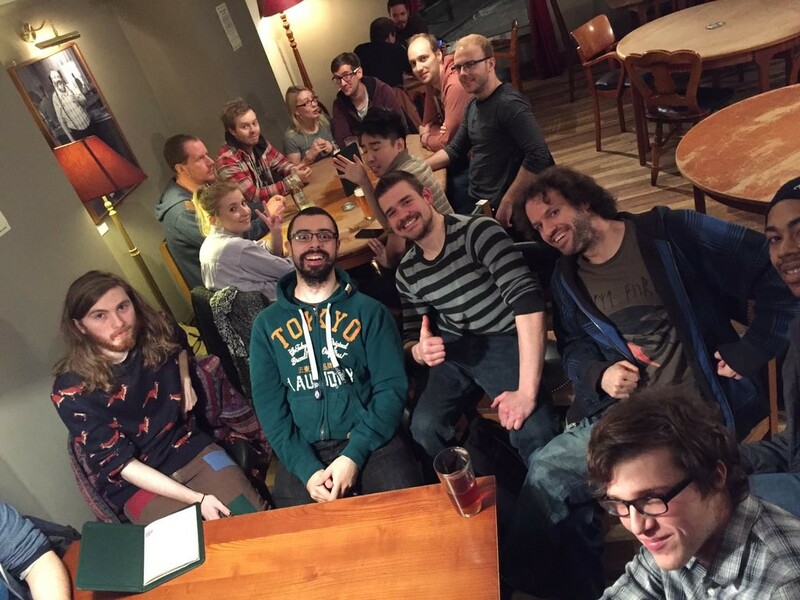 Every month we have an Indie Drinks meet-up and twice-monthly North West Playtesters where we meet up and feedback on each other’s games. We have organised free workshops with the BFI, HMRC, Creative England, Creative Europe and more. In May we host Jamchester, the UK’s biggest professional game jam, in conjunction with HackManchester. We’ve co-hosted many more events including a games room at Manchester Town Hall for Manchester Day, and Northern Lights with Creative England at The Lowry theatre. Aided by Manchester/Salford’s status as the centre of TV production in the UK, we have many excellent facilities. Cubic Motion, the premier facial motion capture & animation company (Batman: Arkham Knight, Until Dawn, etc) is situated on Manchester Science Park. One of Europe’s top video game recruitment agencies, Amiqus, is based just outside Manchester. We have renowned CG, visual effects, and VR/AR agencies such as Flipbook, Realtime UK, Studio Liddell, and Carbon Digital. Tech North, the agency tasked with promoting tech businesses across the north of England is headquartered in Manchester. Manchester is often regarded as the UK’s ‘second city’ after London and as such has a large amount of quality office space, transport facilities, and culture. MediaCityUK in Salford has the BBC’s entire digital & games teams, BBC sport, BBC Breakfast and much more with over 3000 employees. We are the only British airport hub outside London to have a scheduled non-stop flights to Beijing. We have multiple flights to the USA with direct flights to San Francisco coming in mid 2017 which will be handy for GDC! London is only 2.08hrs away by train and we have the UK’s largest and best public tram system. Culturally Manchester is world-renowned with a superb live music scene, world-class galleries, and many stage shows premiering here before the West End. We host the English National Football Museum and of course we cannot forget our two Premier League football clubs Manchester United and Manchester City who are supported across the globe. At over 100,000, Greater Manchester has one of the largest student populations in Europe . We have multiple video game development degrees at MMU, Salford, Bolton, UCLAN, SSR and Futureworks. Manchester University is the largest in the UK with 37,000 students, is ranked 41st in the world, eighth in Europe & fifth in the UK (2015 Shanghai Jiao Tong World Ranking), and has a globally renowned Computer Science courses. Multiple local student teams have won competitions such as Dare To Be Digital and been nominated for BAFTAs. We have specialised secondary schools with games development courses including UTC Media City, Manchester Creative Studio School and Playground Squad and Coder Dojo allows children as young as 6 to learn programming.